I am trying to put period original master cylinders in my FC but the brake master cylinder I have has a part number I can't find in the master parts book. The number on the cylinder is 7409631. 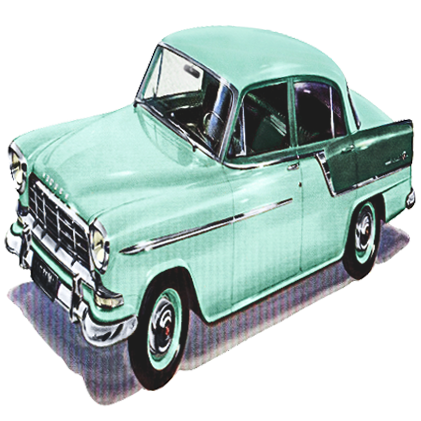 Part number 7409631 is listed in the 1957 master parts catalogue in section 4.650 as "body". The complete cylinder assembly goes under the number 7409947. The cylinder will have been revised a couple of times in its history. 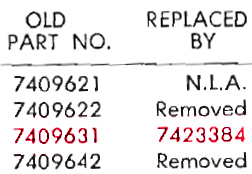 You might find others (except HD/HR wider flange and plastic reservoir cylinders) with 741 or 742 part numbers. Thanks guys - much appreciated. It means I can use the one I've got. Bear in mind that the later cylinders will not take the early tin reservoirs. The thread diameter was decreased and only takes the plastic ones. You could possibly make up your own tin ones of course.